Eloise G Shaffer, 92, died Wed., Nov. 11 at her home in Alameda, CA, where loving and devoted family attended her. A memorial service will be held November 21 at 1:00 PM at the First Baptist Church in Alameda. Eloise was born April 18, 1923 in Drasco, TX to Ocia and Vivian Grissom. She graduated from Bradshaw High School and completed her first year of college at Hardin-Simmons University in Abilene, Texas. 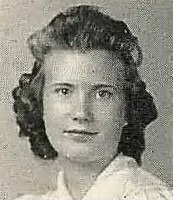 In 1941 She married Clarence Shaffer, and year later they moved to Alameda. During the war she worked at the Naval Air Station. In 1953 she resumed her education, and received her BA from Cal State San Francisco in 1957. She taught fourth and first grade at Mastic Elementary school for over 15 years. In the 50's and early 60's she was the "den mother" to her children Darlene, Darell, and their group of Alameda cousins, sharing her love of adventure by organizing trips to Yosemite, Disneyland, and Saturday roller skating. In later years she spent much of her time at "the ranch", the family property in Oakdale, CA, where she was known for her quilting, her extraordinary vegetables, and her love of children. She was a member of the First Baptist Church of Alameda since 1942. In 1986 she and Clarence were honored as "Camp Boosters" for their support of the Baptist Summer Camp. She was preceded in death by her husband Clarence, and by her siblings Linda, Ramona, Evelyn, and Roswell. She is survived by her children, Darlene and Darell, her son in law John Ito, her daughter in law Susan Shaffer, her sister Gwen Fowler, her brother in law Ray Miller, her grandson Jason Shaffer and his spouse Mona Shaffer, her grandson Adam Shaffer and his spouse Tran Hoang, her grand daughter Michelle Ito, her grandson Mitch Ito, and by her great grand children Tyler Tran Shaffer and Yasmeen Eloise Shaffer. Special thanks to Bernadette Hunsaker for her devoted care of Eloise. She will be deeply missed.